Yamaha has certainly been busy these days. Between the Montage and MODX, there has been plenty to talk about. And now, Yamaha now introduces the new CP88 and CP73 Digital Stage Pianos (the CP73 is the subject of our review). This review covers the CP73 and CP88 Version 1.10. Just to be clear, the Yamaha CP73 and the CP88 have exactly the same sound engine and capabilities as each other. The difference is both the number of keys (73 vs. 88) and the type of key bed. The 73-key uses a Balanced Hammer Standard (BHS) key bed with black matte keytops, whereas the 88-key uses a Natural Wood Graded Hammer (NWGH) keyboard with synthetic ebony and ivory keytops. Interestingly, the 73-key version runs E to E (E1-E7) like the classic Yamaha CP-70 and Fender Rhodes. The 73-key version weighs only 28 pounds, whereas the 88-key version weighs 41 pounds—which is still a fine accomplishment considering the keys are real wood! The rest of the specs for both keyboards are exactly the same. Each has 128-voice polyphony and use Yamaha’s AWM2 sample playback engine to generate its piano sounds. This is the same engine as found in the Montage and MOXF8. 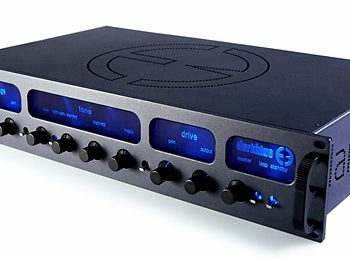 Read our reviews of the Montage and MODX for more info. There’s a section for selecting the three types of sounds on tap: Piano, Electric Piano, and Sub, which represents all else: strings, organs, synth, etc. Each section has a four-position knob to select the sub-class sound within the main category (i.e., Grand/Upright/CP/Layered pianos), a colored switch to choose variants within each sub-class, a dedicated split button, octave transpose buttons, volume and tone knobs, and a section on/off switch. To the left side of the panel is a small but effective 128 x 64 dot LCD. 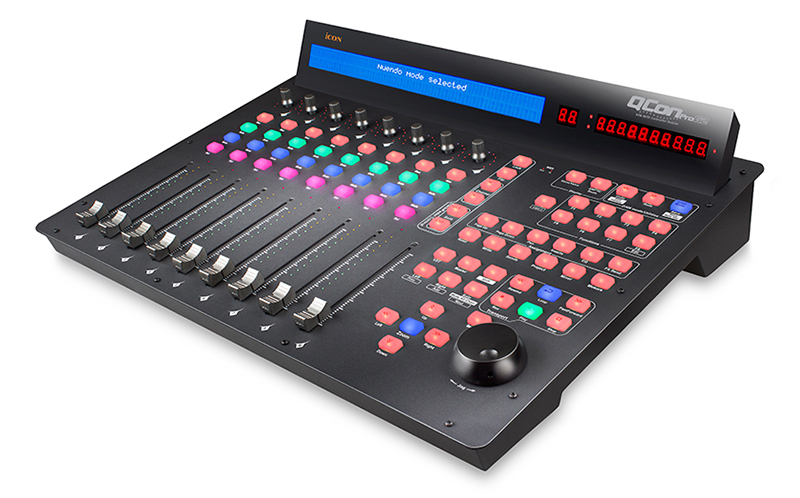 Below this are buttons for Live Sets, which function as banks of favorites. Live Sets gives you 20 banks of eight Live Set locations for instant recall of Voice Section settings, Master Effect set ups, layers, splits and MIDI controller set ups. Instead of traditional pitch bend and modulation wheels, these two functions are represented by metal pole “switches” that function in exactly the same way. While we are glad these are included—this makes the CP more versatile when using non-piano sounds—we would have preferred more traditional controllers as there appears to be enough space. The connectivity on the rear includes unbalanced L/R ¼ inch jacks, headphone jack, balanced L/R XLR jacks, MIDI In/Out, (2) foot controller jacks, damper/sustain jacks, and two USB ports (one to host, one to device). This allows you to connect to a USB drive on one port, and connect to a computer, for example, on the other. MIDI data or one stereo channel (or two mono) at 44.1khz can pass over USB for direct recording. Interestingly, there is also a gain switch next to right and left input jacks. As per the manual, “these jacks allow you to connect an external audio device and mix the output of that device with this instrument.” For those getting excited, no, this does not represent vocoding or effects processing of external signals. But perhaps it will make your front-of-house engineer happy to know that you can plug your second keyboard’s output directly here and have everything go to the front of house via the balanced outputs. We have reviewed quite a few Yamaha synths over the years, and we own more than a few Yamaha keyboards spanning multiple decades. They all tend to have two traits: (1) They sound great, but (2) user interface has never been a strong suit, as navigating around them can be challenging at times. Yamaha has (finally!) made a keyboard that is supremely easy to navigate around. The new CP keyboards are a joy to work with. There aren’t layers of menus to dive into. Controls are mostly one-to-one, and dialing up sounds is fast. Turning effects on/off is immediate, and splits are incredibly easy to set up as each section has a dedicated split button. It really was such a pleasure how easy this Yamaha synth is to navigate. After reviewing the MOXF8, Montage, and MODX, this was a welcome operational difference. The 73-key version we reviewed had a great-feeling action. No, it wasn’t as piano-authentic as the 88-key version (which we did actually play prior to and at NAMM, just not for this review), but this keyboard was still highly satisfying for playing piano parts, with a definite feeling of quality. And, despite the fully weighted keys, it was still fast enough to handle synth/organ lines when desired. We felt the action was very similar to our MOXF8 keyboard. Perhaps the only small gripe, which is just a personal preference, is that the key tops were completely smooth. Ideally, a slight fine texture is preferred, though this is easy enough to live with. And there’s always the 88-key version if you want more piano-key texture (and that one feels even better)! One thing we always like to investigate is how well a stage piano can control other MIDI instruments. The CP series does allow for this, either by MIDI or USB connection. You can set up to four zones for external control, and you can send LSB and MSB messages along with patch change information for proper control of your outboard gear. Yamaha keeps these settings hidden from view for the typical player, but you’re not that player, so turn on “Advanced Mode” for these parameters to appear. Yamaha has done a lot of things right with the sounds—but not all of them, so we’ll start with the best, which, as you would expect, are the pianos. The Yamaha CFX, Bosendorfer Concert Grand 290, S700 Concert Grand (updated from the S90ES synth), and U1 upright pianos are all represented. Each one has its own character, and they each sound great. We pulled up a CP80 sound, threw on some chorus, and instantly began playing Peter Gabriel’s “In Your Eyes” with authority. There’s something to be said about a modern, clean, signal path when recording, as opposed to the 1980s electronics found in our vintage CP70 paired with a classic Roland CE-2 chorus pedal (these products were virtually inseparable back in the day). In the modern Yamaha CP73, there’s no question as to the authenticity of the sound you get, but absent is the vintage noise, and this is definitely a good thing. As an added bonus, the CP73 is a hell of a lot lighter in weight than the original, which was obvious when we rearranged our studio a bit to accommodate this review unit and had to move our beloved classic. 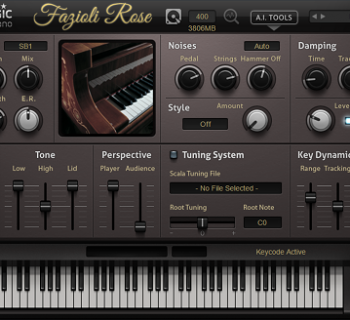 While you may not have control over each individual note like you might find in a modeled piano plug-in, you do get to customize some details of your piano sound. 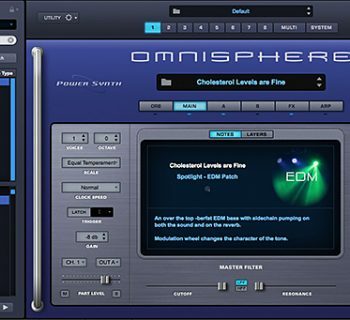 There is a damper resonance button (simulates the sound of open strings produced when the damper pedal of a piano is pressed) and a “touch” setting, enabling you to adjust sensitivity for the way you play. The Electric Pianos (Rhodes, Wurli, Clav, and even DX) sounded good too, and tweaking them with just enough overdrive and/or tremolo was easy to do if you didn’t like stock sounds. Jazz, funk, and Doors aficionado’s will definitely dig these sounds (we certainly did!). And with the glassy DX pianos, your Whitney Houston tribute band is good to go! The non-piano sounds in the Sub category are serviceable, but nothing to write home about. The organs sounded average, and the synth sounds, frankly, were bland. A useful setting in the CP73 was the “fixed” touch setting, which basically makes everything respond with constant velocity no matter how hard or soft you play—improving the realism of the organ sounds (and potentially useful for classic analog synth sounds should more of them become available in the future). Additionally, there’s a whole bank of chromatic percussion (vibraphone, Glockenspiel, xylophone, etc. ), and the “Other” category even had a guitar sound. While the CP73 is first and foremost an excellent sounding stage piano—and not meant to be a synthesizer, we feel the quality of the synth/string/pad sounds just didn’t measure up to the piano/electric piano sounds. Today, we would still chose to bring a second keyboard along to the gig for our non-piano sounds, but players who only need the piano stuff for 90% of their gig should be well served. We would love to see Yamaha introduce something similar to what other manufacturers have done with their stage piano products (Nord and KORG come to mind): Ideally, the user has access to a large library of sounds (perhaps even your own samples) online that can be loaded into your CP. This way, a player can really customize the CP to their specific gig requirements. Maybe someone wants 20 xylophone sounds… but maybe someone wants one piano, one EP, and 20 synth sounds! With a customizable sound bank, you can load what you want in the keyboard and go. If Yamaha could implement this, it would be a huge win for players using the CP73 and make it a more versatile instrument. The box included a printed manual that was easy enough to follow. There are videos online as well that can help get you started. Overall though, it is much easier to use than most Yamaha synths, and you’ll have the basics mastered in a matter of minutes. The manual should just be a little clearer about turning on the advanced mode in order to use the controller functions. As it is now, there’s only a tiny asterisk next to the LSB/MSB function in the manual, with tiny type elsewhere on the page stating “*: Detailed settings.” That should be expanded. The Yamaha CP73 (MSRP $2,499) sells for approximately $2,000. The Yamaha CP88 (MSRP $2,999) sells for approximately $2,500. You get great sounding pianos and electric pianos with a nice feeling, fully weighted keyboard in a very light weight package. If that’s all you’re after, Yamaha has hit a home run. 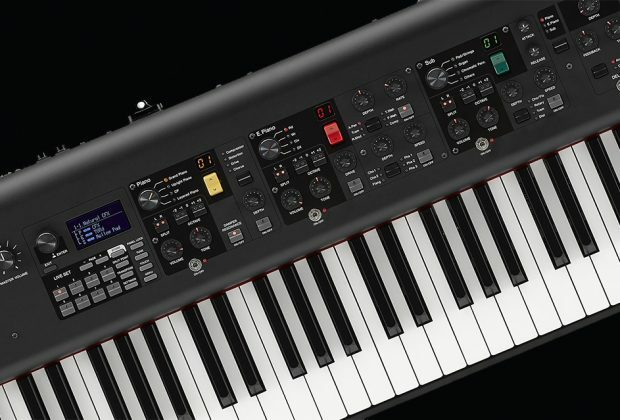 But if you need one keyboard to gig with and also need a variety of solid organ and synth sounds, there are competing products that might serve your needs better.